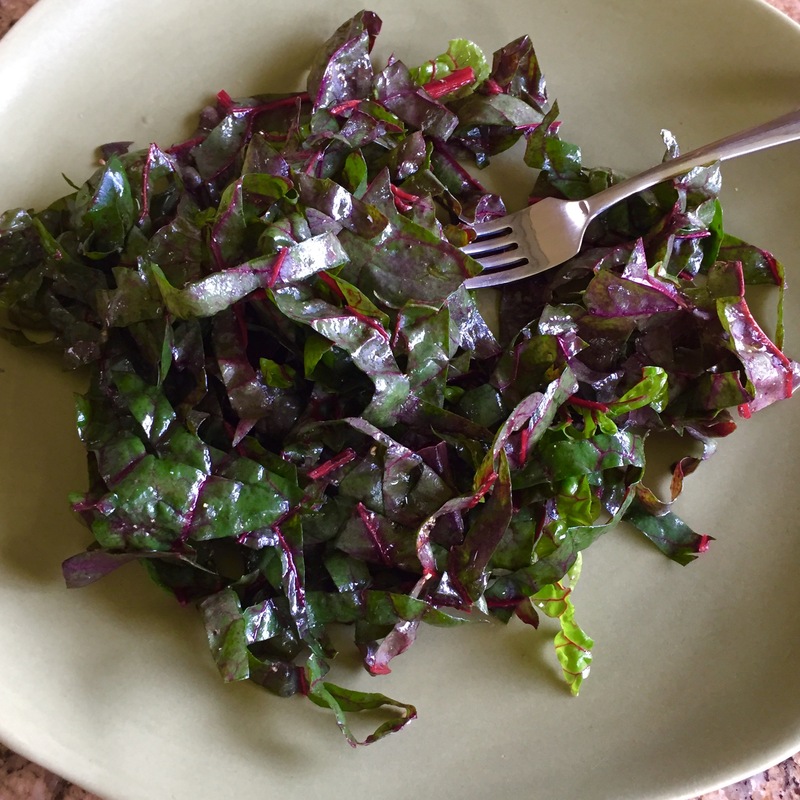 1-2 cups of your favorite greens: spinach, arugula, Swiss chard (shown here), collards, etc. Wash, dry/spin, and chop the greens into fine slivers. Drizzle with a little EVOO and lemon juice. Season with a touch of salt and pepper, toss and enjoy.